Swiss developer and provider of cabling systems for network infrastructures, R&M is quickly integrating the Transportkabel DIXI a.s. вАУ which it acquired back in May 2018 вАУ into the corporate group. 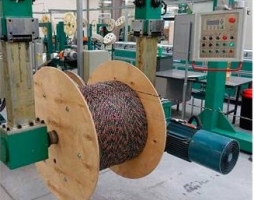 The fiber optic cable manufacturer was renamed on the first of August and is now called Reichle & De-Massari Czech Republic a.s.
R&M is currently transferring the DIXI portfolio into its global sales and production network. R&M uses the cables from the Czech plant in particular to extend and optimise its own products. With the DIXI acquisition, R&M has acquired expertise in fiber-optic technology. вАЬWe can now provide our customers with cables by the meter and fiber optic assemblies even more flexibly than before. Apart from that we can focus more on developing project- or customer-specific cable constructions together with our customers and partnersвАЭ, says Andreas Rüsseler, Chief Marketing Officer at R&M. The plant in Děčín, Czech Republic, mainly produces loose tube cables with singlemode and multimode fibers.